The Audio response is something that is rarely talked about amongst XP Deus users, do people really understand it ? or is it simply an un important feature ? During my 1 to 1 Deus training sessions I always emphasize the importance of the Audio Response, time is taken to demonstrate it’s true function as this can be an important step to understanding the Deus. Audio response hides behind many names depending on what machine you have used in the past, Modulation, Signal Gain, Signal Boost, Volume Gain, some manufacturers even call it Sensitivity…This is when the machine has a fixed sensitivity and the Audio Response is used to control the ground and signal noise, quite often you hear people say they can get a deep target on zero sensitivity, this is in fact zero Audio Response. This just goes to show what an important feature Audio Response is. What does Audio Response actually do ? In simple terms it can add another dimension to your target signal, it is an adjustable signal amplification based on target depth and size, in other words when adjusted correctly it allows the size and depth of the target to dictate the volume of the response. The XP Deus version 3x has 8 audio response levels 0 – 7, a setting of 0 will give the best perception of target depth and size, small or deep targets will sound very faint, shallow or big targets will sound much louder, so in a nutshell audio response has added the perception of audio depth…or colour to the signal. If you run a high audio response and you are searching a busy site the flat audio sounds will soon mentally drain you. What are the advantages of using a low audio response setting ? I can’t emphasize enough what an important part of the Deus this feature is. Firstly it can suppress a lot of chatter and ground noise. There is no depth loss by using lower numbers, you will get a much better idea whether to dig or not to dig a suspicious target based on the signal intensity and the audio information gathered. 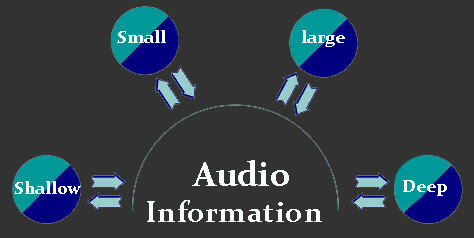 The more Audio Information the better ! B: Broken because the ground has started to consume the target……AUDIO INFORMATION ! If the same target with the same audio response settings was Loud and broken, this would most likely be iron….Quiet and broken possibly GOOD, Loud and broken most likely BAD. Now let’s assume you passed the coil over the same target with an audio response of 7 (all targets now have the same audio intensity)…The same target will be loud and broken and in most cases dismissed as Iron, You would have lost all the important audio information by using a high audio response. NO AUDIO INFORMATION will lead to less finds! Imagine you are searching un disturbed land, you are convinced the older targets have sunk deeper into the ground compared to modern targets which are shallow, using a low audio response can help you “Cherry Pick” the deeper targets by the softer audio sounds, giving you the option to perhaps ignore the louder shallow/modern targets. I have used this method on several occasions when searching modern parks. 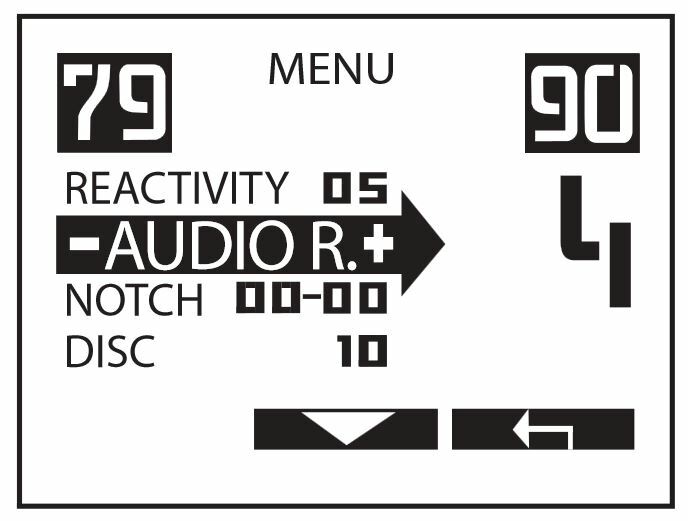 What are the advantages of using high Audio Response numbers ? In my opinion far less than using a low to medium settings. As mentioned earlier high settings give the same audio intensity no matter what size or depth the target is. Some people may gain advantages such as “all metal” relic hunters, detectorists who are hard of hearing, also those who search in noisy environments. I’m sure there are other scenario’s from around the world that I have overlooked, but for me it has to be level 3 for most of my searching. Remember a lower audio response will not compromise the detectors depth, it simply softens the deeper or smaller signals.